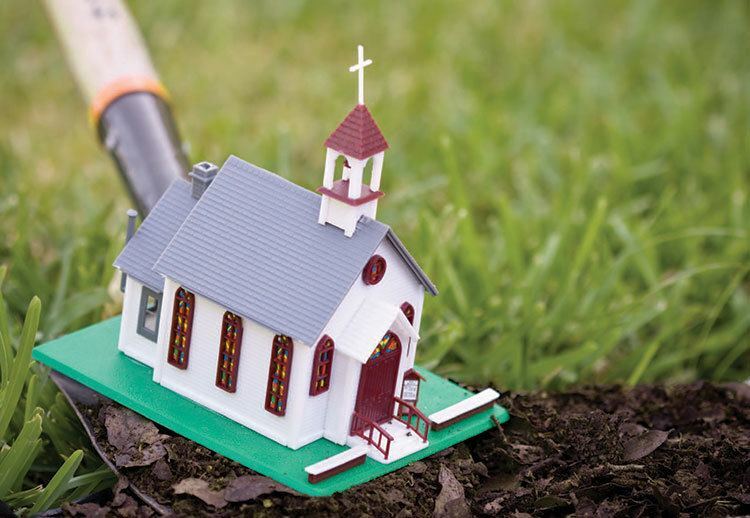 Church planting can work when church planters start churches. But the deep, rich, exponential Kingdom growth occurs when churches plant churches – and that includes satellite campuses and non-traditional plants like home churches, workplace churches, and even churches meeting over wings at a local restaurant. George should know. He’s literally lived a lifetime watching, learning, engaging, writing, and teaching strategy surrounding understanding people and calling them together as a church plant. In January 1950, G.W. Bullard left the staff of the Baptist Convention of North Carolina to become pastor of a new church north of Raleigh. The plant was a Sunday School class that went out and became Temple Baptist Church. George Jr. was born that same year. G.W., who served on the board of directors for the Southern Baptist Convention’s Home Mission Board (now North American Mission Board, in Atlanta), left Gregory in 1965, accepting the call as director of missions for the Delaware Valley Baptist Association with churches from southeastern Pennsylvania to southern New Jersey. From 1965 to 1972, the association grew from seven Southern Baptist Churches to 29. It was during that time, that George Jr. personally stepped into church planting. “I learned that first-time guests are worth their weight in gold and you treat those guests like pearls of great value,” George says. “I learned that a church plant requires a core group of people with a Christ-centered faith,” he says. “But, if you don’t look for people who need Jesus, you will quickly become a group that focuses inward and becomes closed. You must figure out the culture where you are planting and dive into that culture. “I learned strategies for starting multiple churches,” George says. The roads of George Bullard’s adult life have led him to these days as director of missions for the Columbia Metro Baptist Association. In the late 1970s, he was on staff at the Mecklenburg (Charlotte, NC) Baptist Association, where he was involved with church revitalization and church planting. From 1981 to 1985, he served at the Home Mission Board, developing a strategy to reach the nation’s mega cities of 1 million residents or more. Church planting was a big part of that conversation. He joined the staff of the South Carolina Baptist Convention in 1985 and led a successful missions initiative to start 500 churches in 15 years. The Columbia Metro Baptist Association has approximately 100 churches, and George prays that within a generation it can have 200 churches. Richland County – home to state government, Fort Jackson, and the University of South Carolina’s Columbia campus, is close to a majority non-white population. To further the conversations about gospel saturation, and church planting and prayer movements, the Columbia Metro Baptist Association is planning a series of event beginning in January 2019. Interested individuals can join the association’s mailing list by going to the website at www.ColumbiaMetro.org. “This is a very serious effort,” George says. “We are already using lifestyle research gathered by Tom Carringer, who was a top executive at ACS in Florence. Tom is helping us understand our community better. We are working to connect with the Christ Together Movement, focusing on gospel saturation in urban settings. Jeff Shipman at Columbia Crossroads, an affiliate with the state convention and a member of our association, is leading us in this movement along with Will Plitt. Ryan Dupree and Robbie McAlister are a tremendous help in identifying international groups.